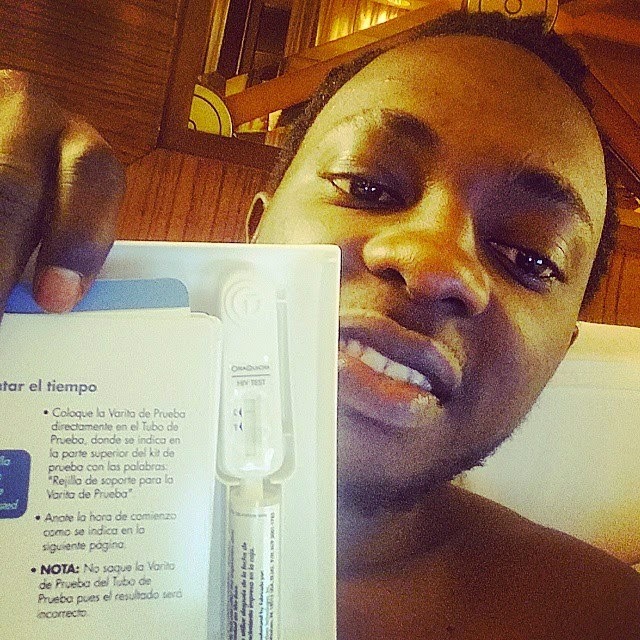 Nigerian rapper Waconzy posted the photo above on his Instagram to show that he has recently taken a HIV test which certified him virus free. He also insinuates that he is celibate for now as his girlfriend is a virgin and encourages his fans to abstain or use condoms, and also have regular HIV tests. Read his post below..
"Its not right to judge nobody from thier beauty or fat bank account .. it's SAFER to judge them from their HIV test result. My suggestion #NoCondomNoSex betters till #NoPremaritalSex..Do you know my girl is a virgin ? .like for real... By the way, being HIV positive is not the end of the world as early detection will save your life forever and if you nagative like me, it means u still gotto work hard to protect ur status as you still gotta check urself every 3 months. My Question, When last did you check yourself ? Would you do that for me today?? ?.............WACONZY #PassTheWordNotTheVirus"
Age is no Barrier To Love - Yay or Nay?